Finding oneself can take a lifetime. For Norman Pinski, it&apos;s gonna take a little longer. Elaine Bromka and Ray Iannicelli star in this monster movie parody which doubles as a comedy about parenthood. When a lightning bolt tragically cuts short the life of a Jewish plumber’s son, all appears lost for the Pinski family. But luckily for them, Dr. Vanderwal, a celebrated local baldness doctor, played by Lee Tergesen (OZ; MONSTER; WAYNE’S WORLD), is secretly a modern day Dr. Frankenstein. Once resurrected in the form of a classic horror film monster, Norman (Mark Gessner) has another chance at finding himself… if his overbearing Jewish parents don’t get in the way. NORMAN PINSKI COME HOME is the 6th film by writer/director Aaron Rudelson. Rudelson, a fan of Mel Brooks’ classic comedy YOUNG FRANKENSTEIN, puts a unique spin on the Frankenstein narrative. The creature may be a monster to the outside world, but to his former mother, his primitive mind is just like that of a toddler (with superhuman strength). 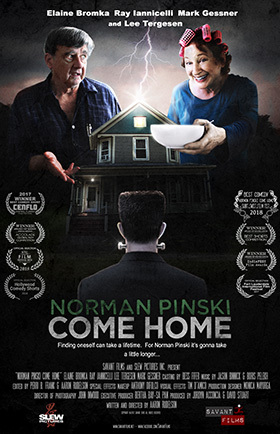 NORMAN PINSKI COME HOME has screened in festivals around the U.S., the U.K. and Italy. Currently, it has earned more than 12 awards including BEST COMEDY from the Short.Sweet. 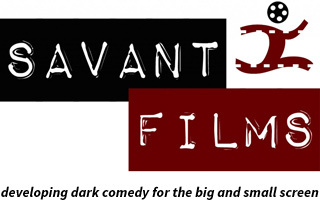 Film Fest 2018, as well as BEST COMEDY SHORT from CenFlo 2017 where it made its world premiere.